This painting/ sculpture is called "In Advance of the Broken Arm" by Marcel Duchamp. You can find this painting at the MOMA. It is a wood and galvanized iron shovel, 52 inches high. This is not the original it was lost in November 1915, this is the fourth version August 1964. It seems like all of his paintings/ sculptures are not the original and that they were lost at one point in time. 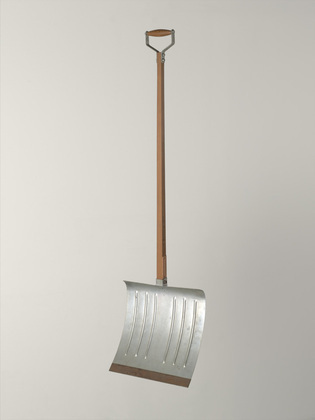 This painting is of a a snow shovel. I don't understand how this is can resemble a broken arm. Maybe if the shovel was broken than I could see where it would resemble a broken arm but its in perfect condition the shovel. I understand this is art but I don't get what he is portraying in this painting/ sculpture. I give him a lot of credit for going outside of the box with his paintings/sculptures because many people would not consider this to be art.